The A1 may well be the baby in Audi ’s range, but the German car maker claims it has grown up considerably for 2019. Eight years on from the launch of the first model, the second generation A1 arrives with the intention of capturing the hearts of those in-market for a premium supermini. It competes against established rivals like the Mini Hatch and Alfa Romeo Mito, while it is now only available in five-door guise and diesel has been ditched in favour of petrol power. 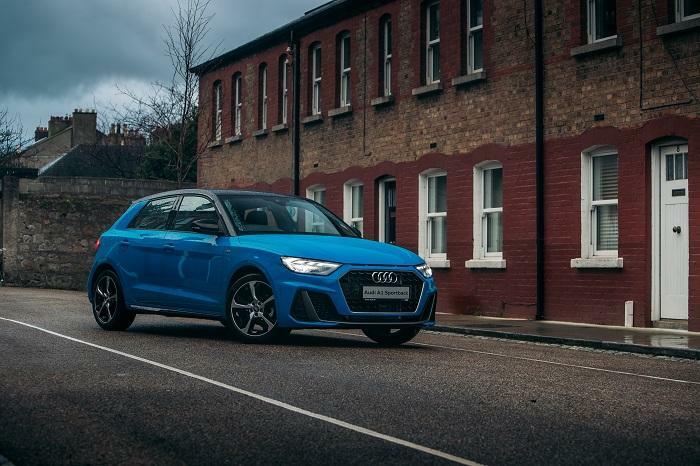 The new A1 looks more striking outside, and it inherits lots of new tech from the rest of the Audi range, while cabin space and practicality has also improved. 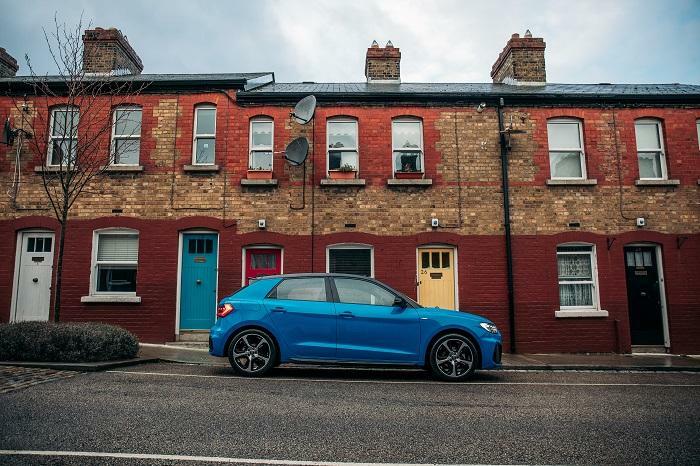 We spent a week with this ‘Turbo Blue’ A1 S Line on Irish roads recently to see how it stacks up against its rivals. The A1 is chunkier looking outside than its predecessor and it’s certainly an a striking supermini package. It borrows several defining features from larger models in Audi ’s stable, including a new pronounced front grille, LED lights and a sloping roof. 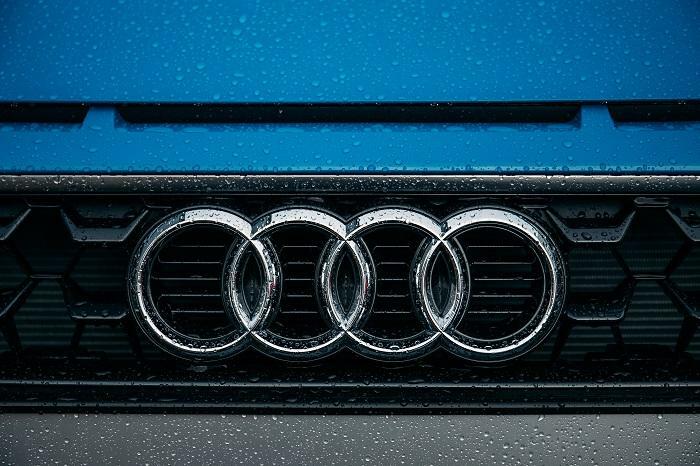 Look closely at the front grille and you will notice three air slots above the grille, a styling cue that it shares with the new Audi R8. The A1 is no longer available in three door guise and is strictly a five-door model. In entry ‘SE’ specification, it’s equipped with 16-inch wheels, while our top specification ‘S-Line’ test car wears 17-inch alloy wheels, LED headlights and S Line exterior styling. S Line is undoubtedly the one to have, but at a hefty price point. This ‘Turbo Blue’ paint scheme demands attention out on the road, and it looks fantastic in the metal. The A1 has taken considerable leaps forward in terms of interior quality, and it boasts one of the best-appointed supermini cabins on the market. It’s slightly longer and roomier than before, which means there is more room for rear seat passengers and boot space is increased to 335 litres (up 65 litres). The A1 impresses like few other small cars can from the driver’s seat, with a Virtual Cockpit digital driver’s display featured on high specification models, along with a 10.25-inch touch-screen infotainment system and sporty three-spoke sports steering wheel. The touch screen system is a joy to use with crisp graphics and Android Auto and Apple CarPlay featured, along with a wireless smartphone charger, though these only feature in high specification models. Despite being the entry model in Audi ’s range, the A1 feels suitably premium and sporty. There are some scratchy plastics in places however, such as the top of the doors and cupholders. 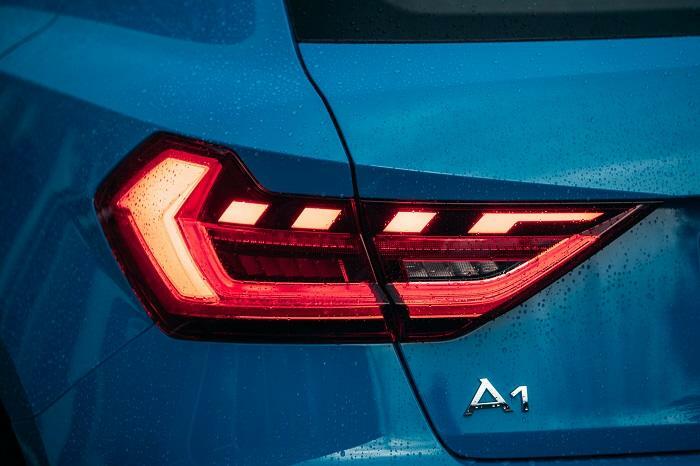 The new A1 is no longer available with diesel engines, though there’s two TFSI petrol units to choose from. We drove the entry 1.0-litre 30 TFSI and it’s likely to be the best-seller here in Ireland, with 116-horsepower on tap and sprightly low speed performance. Although the 30 TFSI is a small three-cylinder unit, it’s fun to drive with punchy acceleration (0-100km/h in 9.2 seconds) and a characterful engine note. It’s economical too; we averaged 5.2l/100km in fuel economy over 500 kilometres of varied driving, while annual motor tax is rated at €200. 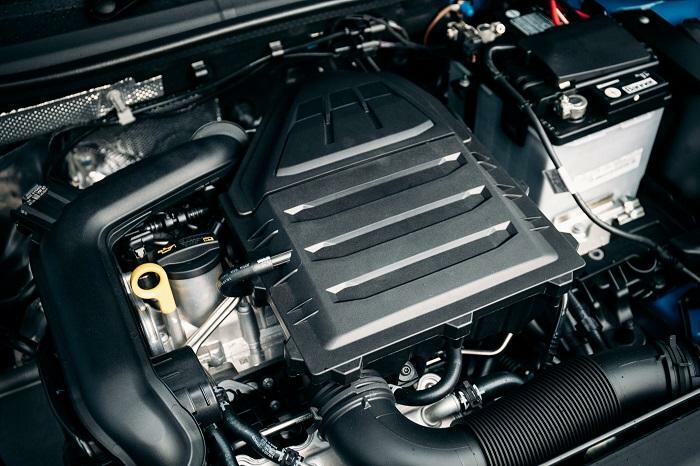 Those seeking extra power can opt for the larger 1.5-litre 35 TFSI engine with 150 horsepower, and although it offers performance and superior cruising ability, we reckon the 1.0-litre 30 TFSI is all you’ll ever need. The front-wheel drive A1 is fun to drive and it feels planted on wet roads, although it isn’t ultimately as responsive as other superminis such as the Ford Fiesta ST-Line or MINI Hatch. The large 17-inch wheels and S Line sports suspension on our test car are somewhat harsh over bumpy surfaces too. 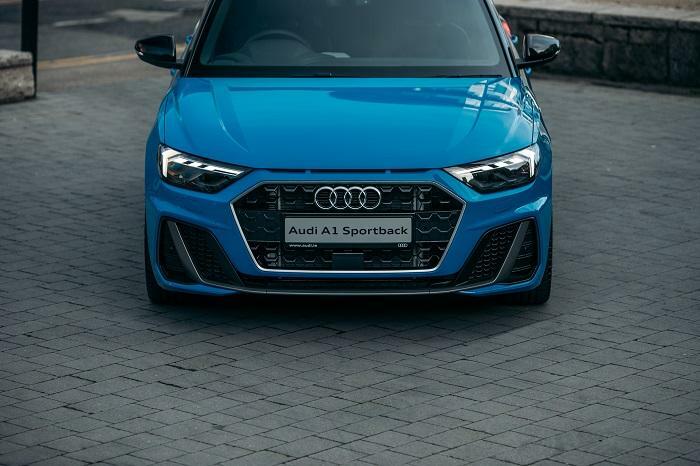 As standard, the A1 is equipped with lots of safety systems including Audi ’s pre-sense front collision warning, lane departure warning, hill hold assist and an adjustable speed limiter amongst others. 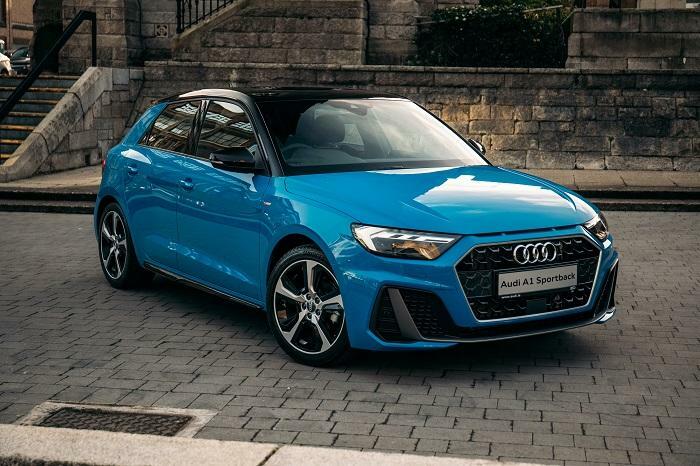 Prices for the new Audi A1 Sportback 30 TFSI start from €24,650 in base ‘Attraction’ specification, and it has 15-inch alloy wheels, a leather multi-function steering wheel, Audi ’s smartphone interface system, an 8.8-inch MMI radio plus system and a front centre armrest. 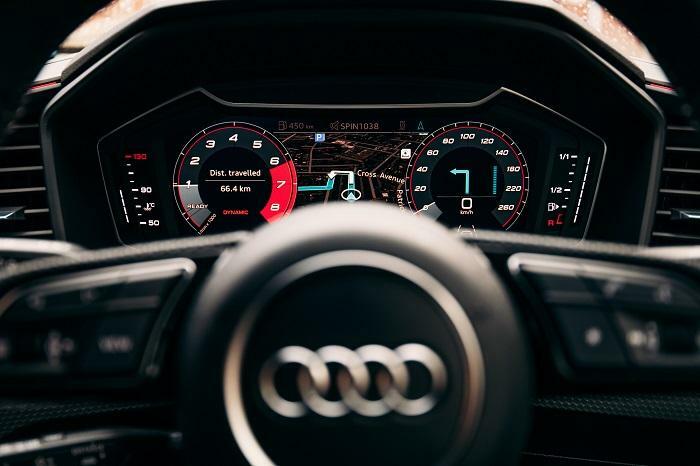 Stepping up to SE specification (from €26,692) adds 16-inch alloy wheels, cruise control, rear parking sensors, Audi ’s Smartphone interface and a host of other upgrades. The range-topping S Line (from €29,042) leaves little to be desired with S Line body styling, LED headlights, 17-inch alloy wheels and adjustable front sports seats. So how on earth is our test car priced at over €40,000? A splurge of optional extras including a Bang Olufsen 3D sound system, alcantara seat upholstery, ambient interior lighting, a comfort key system, wireless smartphone charging, heated front seats and various other upgrades adds €11,130 to the asking price. That’s A3 or A4 territory! 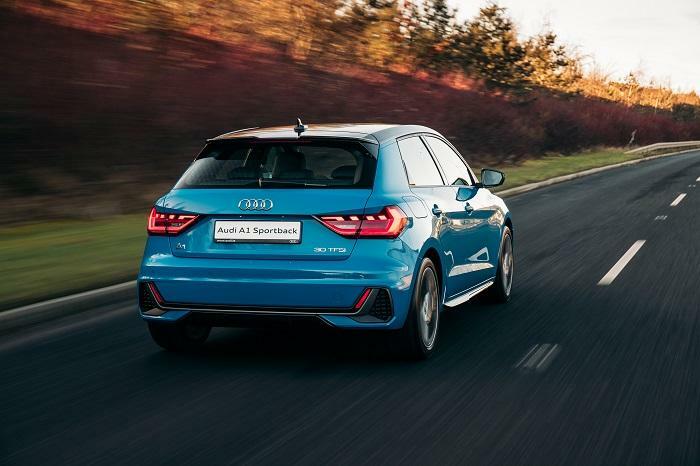 Audi has boosted the desirability of the A1 considerably for 2019. It’s more appealing than before, thanks to design tweaks and a range of new customisation and colour combinations. 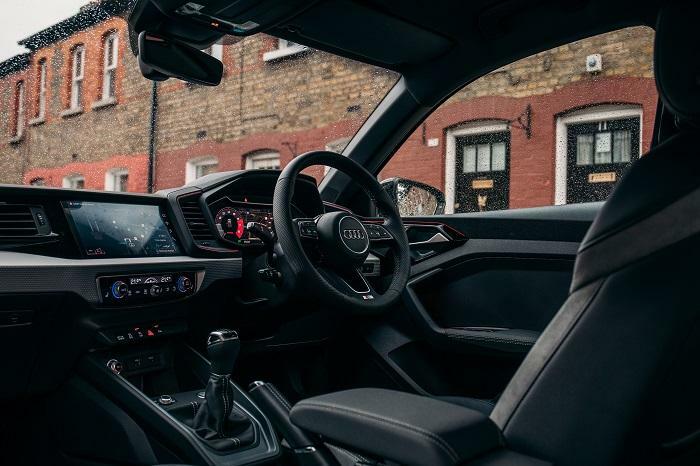 The cabin has matured too, with lots of tech inherited from Audi ’s best-selling models and surprising ammounts of room. It isn’t low-priced though, with desirable S Line models starting at circa €30k. It doesn’t drive as crisply as many of its rivals either, though the vast majority of buyers won’t mind this. The 30 TFSI in SE guise is our pick of the range.